I hope you all had a fantastic weekend. I decided to be a little creative for Halloween and do Frankenstein inspired nails, and It was actually pretty easy. 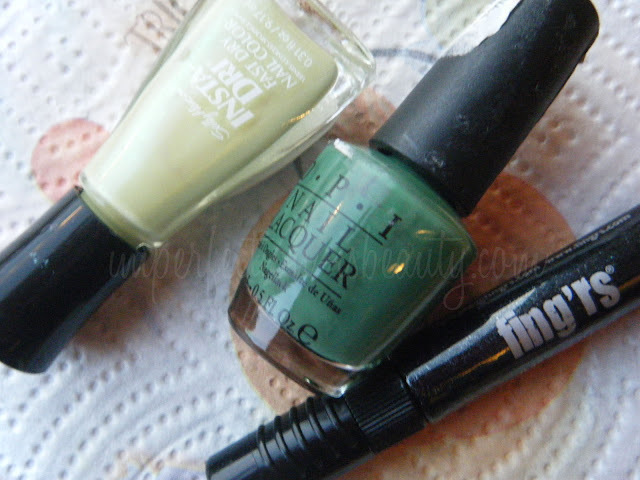 I used Sally Hansen's chartreuse chase a really pretty lime green, on half on my nail either horizontal, vertical, or diagonal. 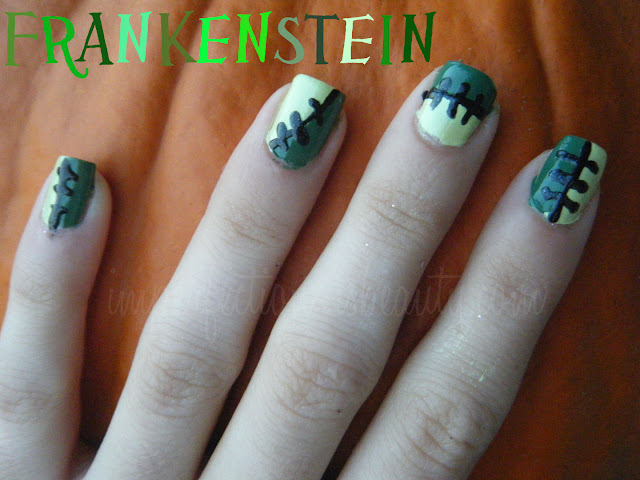 On the other half I used OPI's Don't Mess With OPI a darker green, and then I used a black nail art pen to divide the two greens apart to look like "Frankenstein's stitches. Awwwww!! I cant even STAND how cute these are!! So creativeeee!!! AND CUTE!! And FESTIVE! haha LOVE IT! Never seen this before! Great idea. They look amazing, cannot wait for halloween! Hey Girl! I wanted to tell you.. I emailed you on the email you have on your blog! Check it out when you get the chance! !